Whether you’re visiting Macquarie University, the Cochlear Research Centre or have a meeting within the Macquarie Park business district, our North Ryde suites make a perfect base while you’re in the area. The nearby Macquarie University Station ensures a seamless journey into the Sydney CBD, while our complimentary shuttle bus makes it easy to attend events in the business and tech park. While Sydney Olympic Park isn’t far away with its multiple venues, you can also take plenty of time off exploring the meandering riverbanks of Lane Cove National Park. A popular nearby café offering delicious breakfast and lunch options. The Vogue Café is also well known for its decadent milkshakes and sweet treats, so you certainly won’t leave hungry! Bring your appetite to Ribs & Rumps too, to save room for the tender ribs and juicy steaks on offer. It has a fun and unpretentious atmosphere that’s ideal for groups or family get-togethers. Great wood-fired pizza is all about simple and fresh toppings, and at Varace Pizzeria that’s on the menu alongside tempting pasta and salad dishes. Our tip? Save some room for dessert. Find everything you might need just a few moments from your suite, including jewellery, technology, fashion and a cinema. Find your professional and personal style with Kookai, Oxford and Witchery amongst many other retailers. Make the easy trip by road or rail into Sydney’s most famous pedestrian mall for Australian and international designer labels. It’s so simple to get to and from your luxurious suite in North Ryde. Once you’re checked in, there’s a complimentary shuttle bus that can take you to and from the business parks Monday to Friday. 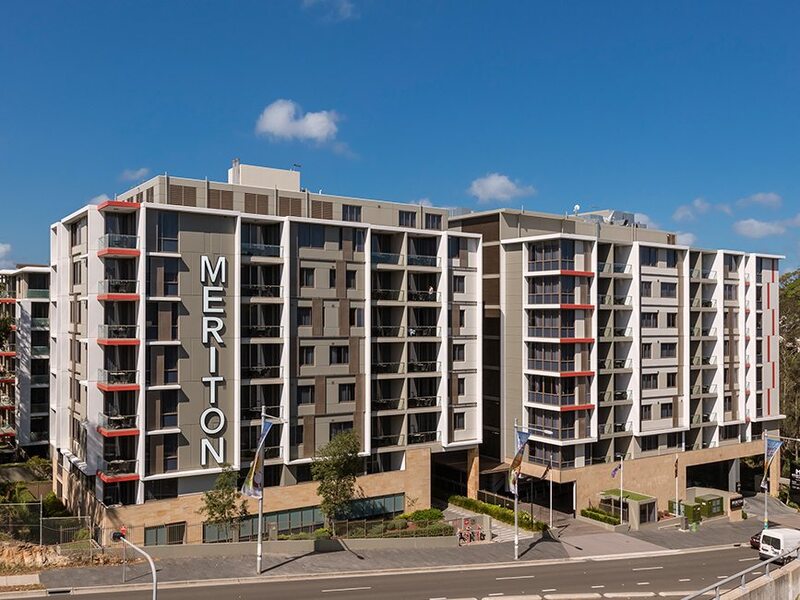 Journey: A 30-40 minute trip from Sydney Airport (Domestic) to Meriton Suites North Ryde. Journey: A 60 minute trip from Sydney Airport (Domestic) to Macquarie University Station, then a 7 minute walk to the hotel.